Free Download Rush for Gold: California Game or Get Full Unlimited Game Version! Make your American Dream come true in California, where the only thing hotter than the sun is the gold fever! In order to get advantaged of playing Rush for Gold: California full unlimiteg game version you must register the game. Travel to the Wild West and feel the legendary Gold Fever in Rush for Gold: California! Striking locations, funny characters, and exciting gameplay are all waiting for you in this sensational time-management adventure. 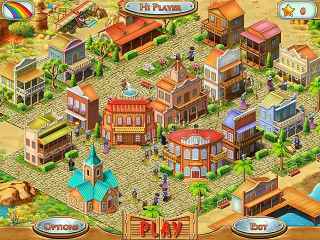 Build your own town from the ground up, help its citizens prosper, and pave your way to fame and fortune. If you're not afraid of a little hard work, this game won't disappoint!